SALE: Save 10% when you order 1-5 units and 20% when you order 6+ units. Valid through 04/22/2019. 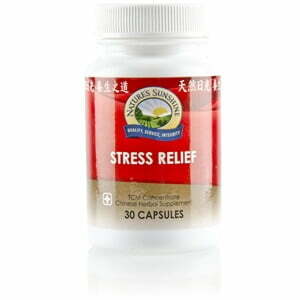 Nature’s Sunshine Stress Relief TCM Concentrate, Chinese contains the same herbs found in Chinese Stress Relief but in a highly concentrated blend. This combination of 14 herbs and natural substances is used in Traditional Chinese Medicine to support emotional balance and calm a stressed fire constitution. The Chinese call this formula an shen, which can be translated to mean “to pacify the spirit.” These herbs may help to nourish the nervous system and subsequently help improve gastric function and strengthen the urinary system. Its primary nutrients–polygonatum, oyster shell, haliotis shell and fushen–may help support both mental function and the cardiovascular system. Instructions: Take one capsule with a meal daily. For best results use with SUMA Combination. 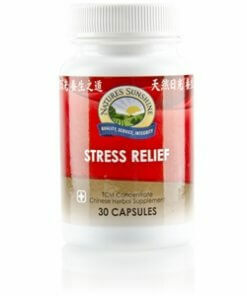 Each capsule is equivalent to 7 capsules of regular Chinese Stress Relief combination. TCM denotes Traditional Chinese Medicine.